According to the latest reports from the Scottish Sun, Celtic may kick start their interest in Celtic’s defender Scott McKenna again as they look to find replacements for outgoing defenders. Dedryck Boyata has refused to sign a new contract, and the Belgian is set to depart the club in the summer. Leicester City loanee Filip Benkovic is also expected to go back to his parent club after his loan spell expires. Therefore it is no surprise that the Hoops are looking to reignite their interest for Aberdeen’s defender Scott McKenna. Just the other day we reported on how the Hoops can use funds received from Brendan Rodgers’ departure to finance a move for Scott McKenna. 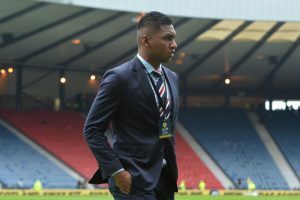 Celtic were firmly interested in this Scottish international in the summer of 2018, but they missed out on him as the Dons were demanding as much as £10m for their star defender. It was no surprise that the defender was seen as a valuable asset for Aberdeen as at just 21, McKenna has all the abilities of a top defender. Some fans might still feel that paying £10m for him could be a bit too much, but such is today’s market that one needs to spend that kind of money to get transfers of certain star players over the line. 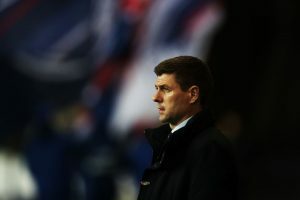 Premier League club like Wolves are also interested in him so the Hoops are not going to find it easy to lure the 21-year-old. The fact that he is 21 means that the defender should have higher resale value if he goes on to fulfil his potential and improve further in a few years time. So at the moment, one cannot blame Aberdeen for keeping the price tag such high. Not too long ago, Liverpool were also in a similar situation when they signed former Celtic defender Virgil Van Dijk for a whopping £75m. The price tag made a lot of noise, and quite a few pundits raved on how he can’t be worth that much. However, in just more than a year, no one is complaining about the price which Liverpool paid. In fact, we wouldn’t be wrong in assuming that the Dutch defender can fetch more than what Liverpool paid if the Reds decide to sell him in the summer. Celtic are also in a similar situation with McKenna but once he starts performing, the price will be forgotten and he could end up looking like a bargain. The Bhoys had a bid of £3.5m rejected in the summer and Celtic will definitely like to negotiate with Aberdeen to lower the £10m price. We feel that Hoops should just go for it to solve their defensive problem for the long term.